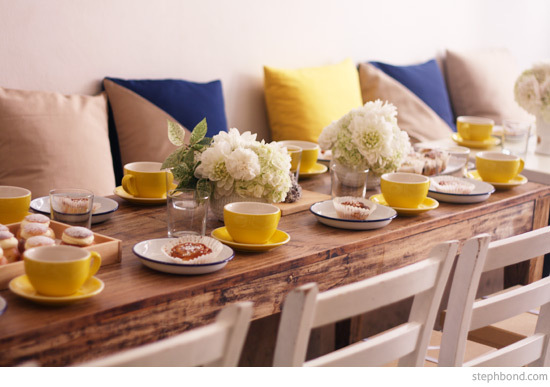 I recently received in invitation to good to refuse - a lovely morning tea/traditional Swedish Fika at Fika Swedish Kitchen in Manly to meet with Kristina Karlsson of kikki.K and view designs for the next few months. So lucky! 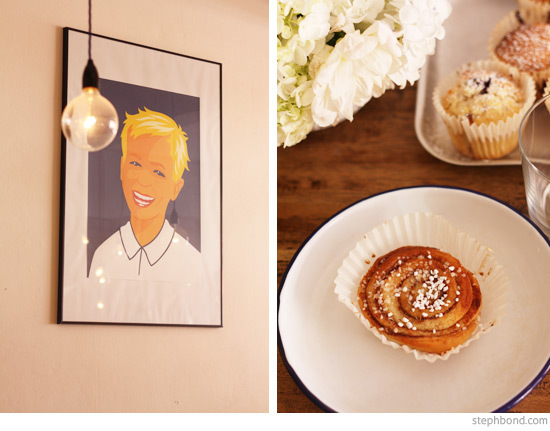 Fika Swedish Kitchen is a gorgeous cafe with custom-made decor in Swedish colours and amazing prints featuring Swedish icons. 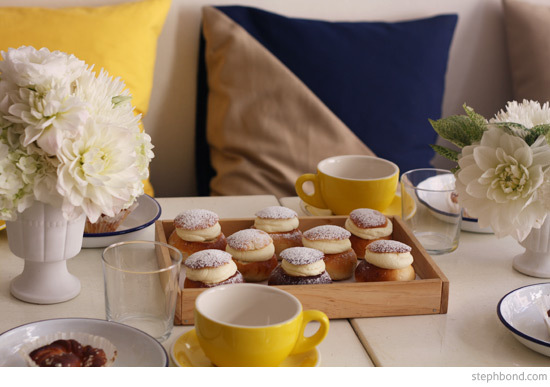 The cakes were beyond delicious, including the traditional Semla cake for Pancake Tuesday. Kristina was gorgeous and gracious and so humble. We learned a little about her inspirations and journey, and passed around some of the new products. 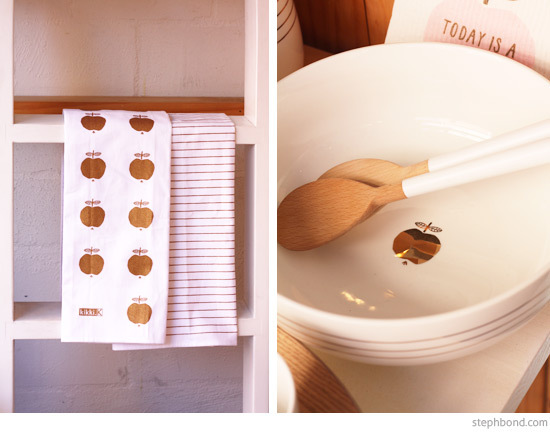 I love, love, loved the water carafe and glass (perfect for my desk) with coppery-gold foil apple. 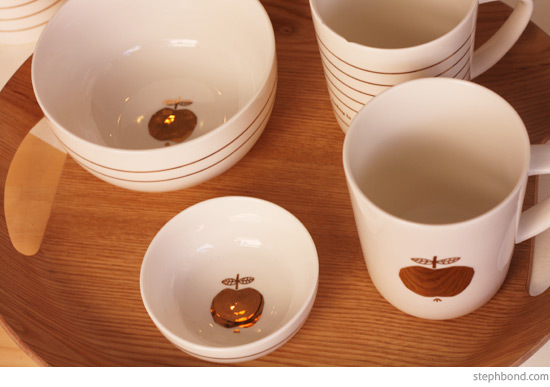 In fact, the coppery-gold was a big theme with stripes on the lovely new white and birch Scandi homewares. 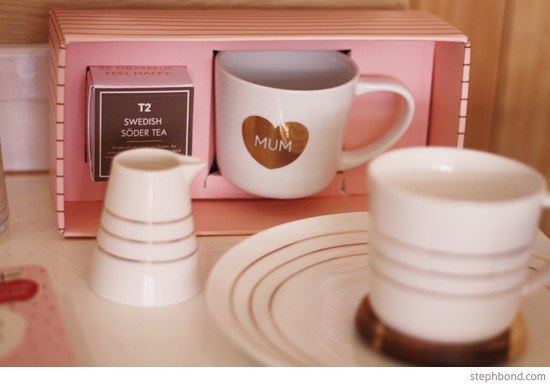 Metallics also make an appearance on the new heart Mum mug which will be released just in time for Mother's Day with a - wait for it - custom Swedish Soder tea made in collaboration with T2! I just about had a heart attack - what a perfect partnership of two Aussie brands! 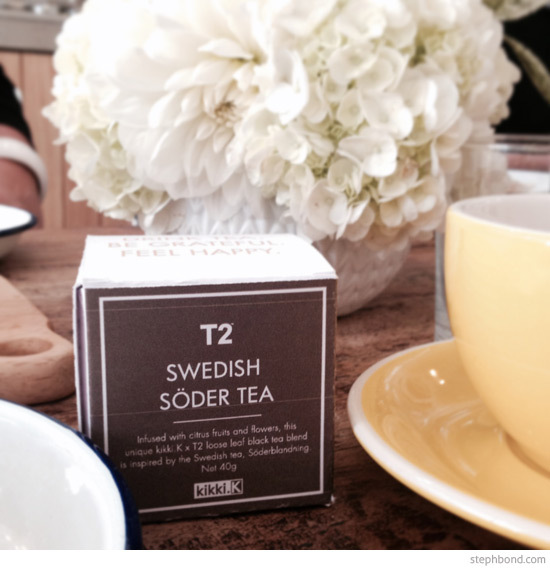 I took mine with a touch of milk and it was lovely and floral (almost rose-like). Can't wait for the release. 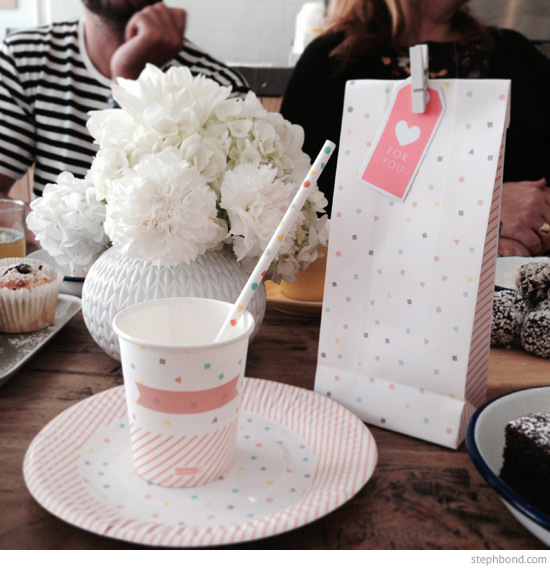 I also loved the upcoming party range including straws, plates, cups, goodie bags, bunting and a modern pinata to match the party invitations, stickers and gift tags. We then had a chance to jot down some of our aspirations in the 101 Dreams Journal. 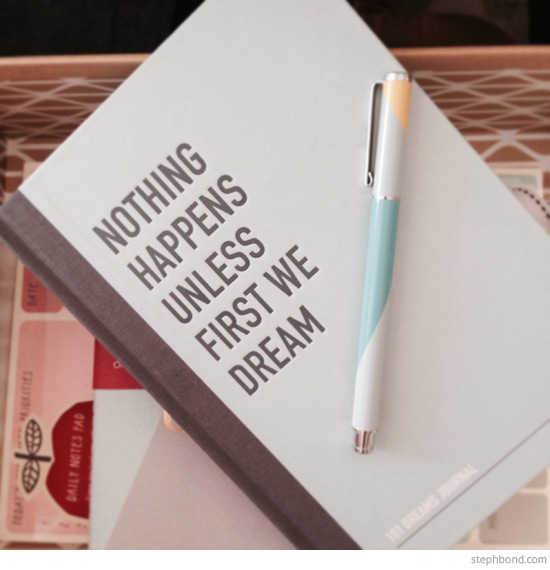 Nothing like dreaming away with a full tummy by the ocean surrounded by stationery goodies! A truly lovely morning. Thank you kikki.K for having me. 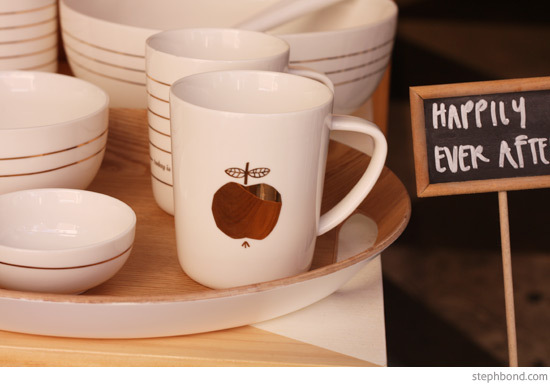 You can find beautiful photos of the event and more product images on the kikki.K blog.